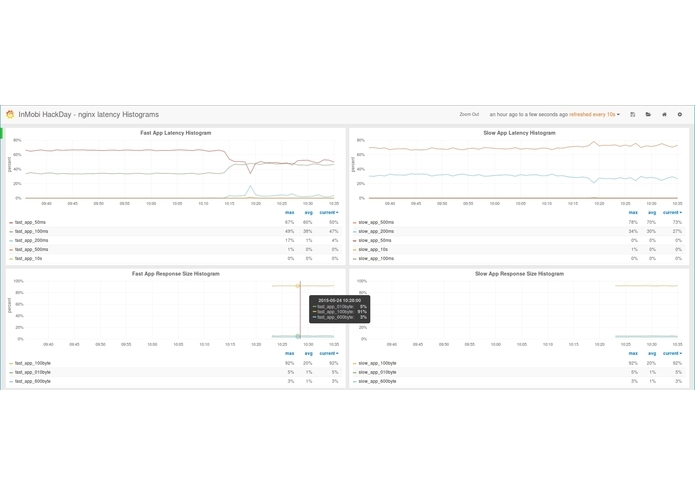 The free version of nginx lack metrics for in-depth monitoring of the server. Lot of the useful metrics are available only in the paid version of nginx or using metrics plugins which are again non-free. The idea of this project is to expose some of the very useful metrics from nginx using the compiled in lua support for nginx. We have written lua code that uses nginx lua library and extract the metrics by polling nginx at regular intervals. 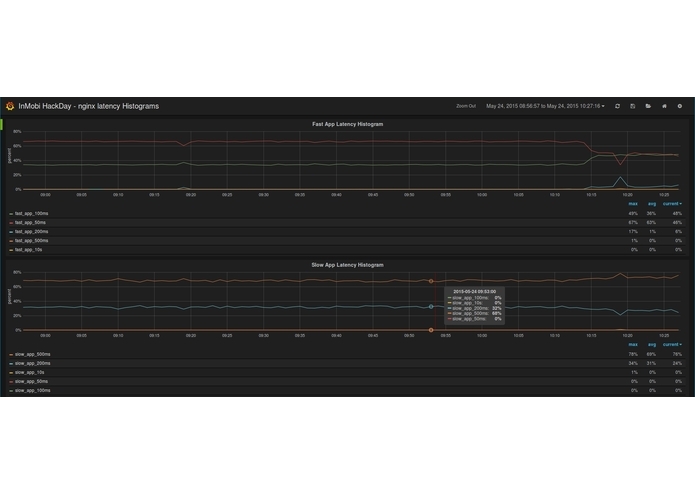 These metrics are then pushed to a graphite server where the extracted metrics from nginx are plotted using the grafana frontend for graphite. As Lua was something new for each team member, we had to understand it and then write the code. Though completely new to lua, we were able to complete the metrics collection and plotting end to end in the given time. We learned how we can utilise the Lua plugins and write Lua code to get internal data of nginx. As of now, we have extracted only a few metrics. More metrics can be added which are available only in the paid version of nginx currently and this can be made open source as well. Implemented the plugin for generating request size histogram metrics and part in graphite setup. Implemented the plugin for collecting latency histogram from nginx with configurable buckets. I worked on having a simple jetty server setup which will be hit by Nginx. The server responses are used to populate metrics which are pushed to Graphite. Also have some understanding of Lua and have worked on adding a metric as well. We all 3 team members, from different teams @ Inmobi, wanted to participate in this hackday. We went through so many ideas and finally finalised on one and registered.